Within only 3 months since UK companies had to announce their gender pay gap figures, yesterday the BBC stated that their top 12 earners are men with women clearly way down the list. Match of the Day host Gary Lineker has overtaken Chris Evans as the best-paid person on the list, earning between £1.75m-£1.76m in 2017-18. Only 2 of the 20 most highest-paid stars are women, with Claudia Winkleman remaining the top woman, on £370,000-£379,999. 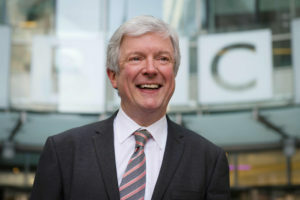 The BBC said the published salaries do not yet fully reflect some pay rises and pay cuts, which will not filter through until next year’s list. Continuing, the number of women making its list of stars paid £150,000 or more increased from 14 to 22 in the year to the end of March, accounting for 34% of the 64-strong list. 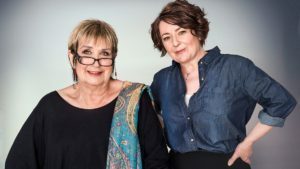 Female presenters to have moved on to the list include Newsnight’s Emily Maitlis, who earns between £220,000 and £230,000; Woman’s Hour presenter Jane Garvey, who earns £150,000 to £160,000; and former Today programme presenter Sarah Montague, now at World at One, who earns £160,000 to £170,000. Despite the corporation’s efforts to address its significant on-air gender pay gap, last year the top seven were all men and the list sparked an outcry about gender inequality, with some men shown to have been paid more than female co-hosts.